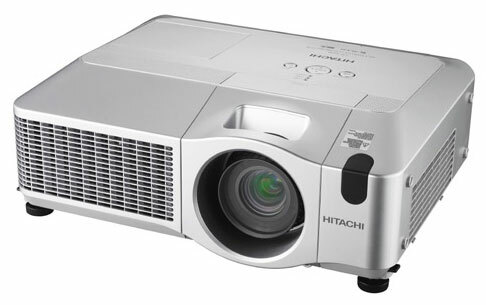 Featuring Hitachi PJMan® software, the Hitachi CP-X615 3LCD projector can be remotely controlled and maintained through a LAN network connection. The network functionality also makes it easy to control multiple projectors in different rooms and to monitor functions such as remaining lamp life. Additionally, the CP-X615 features Hitachi’s proprietary e-Shot technology, which allows AV/IT administrators to transfer still images, such as emergency alerts, from a PC to each projector on the network. When the e-Shot function is utilized, the images are automatically displayed on all the projectors, including ones that are not in use at the time. This is ideal for applications in which multiple projectors are networked across a large space, such as a school, campus or large corporate environment. The CP-X615 offers a brightness of 4,000 ANSI lumens and a 1000:1 contrast ratio. Additionally, it displays images via a 1.2x zoom lens and is outfitted with a bayonet lens that can support up to four optional lenses for specific application needs based on the size and environment of a room. The CP-X615 also features horizontal and vertical lens shift.